The New York bedsore injury attorneys of Nursing Home Law Center LLC are committed to securing justice on behalf of the many victims who suffer from neglectful and negligent nursing care throughout the city and state of New York. The failure of many nursing homes to provide adequate care to residents with health conditions that elevate their risk of developing pressure sores is unforgivable. Rather than invest in staff members and programs that ensure patients are taken care of and comfortable, these facilities often cut staff and refuse to properly invest in safety measures in order to pad profits at the expense of those they serve. New York is the largest city in the United States and home to over 8.5 million people. The senior population represents just over 12% of that total, exhibiting the need for senior services throughout the city. In addition to those who are currently over the age of 65, there is a large group of residents rapidly nearing their age of retirement. It is only a matter of time before many of these people will require assistive care. The NYC Department for the Aging provides programs for aging residents through senior centers located throughout the city. These programs include those aimed at the needs of minorities and the LGBT community, so there are activities and services available for everyone. For more information, you may visit the Department for the Aging website at http://www.nyc.gov/html/dfta/html/services/centers.shtml. With over 305 nursing homes located throughout the New York area, there are plenty of choices available for those who are considering placing their loved ones under professional care. In fact, there seem to be too many choices for those who are frustrated and anxious about the histories of the centers they are considering. Our New York pressure sore lawyers recommend using the nursing home compare tool provided by Medicare to narrow your search. This tool grades facilities based on their health inspection records, staff quality and history of fines so that you can eliminate the centers that have a history of abuse and neglect from your search. To use the tool, visit https://www.medicare.gov/nursinghomecompare. When patients who are unable to get around very well on their own are left in the same position for extended periods, the weight of their bodies can cut off circulation throughout their body at their joints. It doesn’t take very long for tissue to begin dying after this occurs and the tissue death over time can result in open wounds that fester and become infected. It is implausible that any attentive caregiver could fail to notice that a patient is developing these sore, which is what makes it appalling to learn a loved one has highly advanced sores that require emergency treatment. One of the ways nursing homes are guarding their profits is by reducing staff levels to unacceptably low levels so that they can reduce overhead. This manner of saving money comes at the cost of residents, whose needs are ranked in priority by overworked caregivers who are unable to meet the needs of every patient. 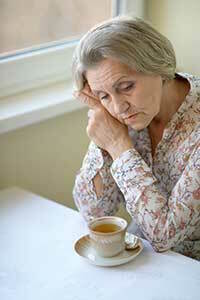 If your loved one has suffered from a pressure ulcer, it is likely that he or she is the victim of systemic neglect. Nursing Home Law Center LLC has worked on behalf of thousands of nursing abuse victims to hold negligent facilities accountable for placing profits ahead of delivering the quality of service they’ve promised. Contact us today to arrange a free consultation with an award winning New York bedsore injury attorney so that we can evaluate your claim and discuss your legal options. If we are unable to secure compensation on your behalf, you are assured that our services will be completely free of charge.